New Year’s resolutions can be a polarizing tradition. Some people think they’re a great way to set and achieve new goals, while others believe they’re a silly superstition that will fall by the wayside within a month. But we at HLSupply love them! We think they’re a great way to get you thinking about your goals for the upcoming year, and they can be just the push you need to finally get started on the projects you’ve been putting off. Not sure where to begin this year? We’re here to start your year right with five easy, achievable New Year’s resolutions for any DIY enthusiast. If you routinely use a chainsaw, lawnmower, leafblower, or other tool that operates on a small engine, then treat that engine with the same care you would a car engine and perform regular checks. While there are myriad tests you can perform to keep your engine in top shape, two of the easiest and yet most important tests are regular oil checks and compression tests. Oil loses its ability to lubricate over time, which can take a serious toll on the overall performance and longetivy on an engine, as many disappointed first-time car owners can tell you. So check (or just change) your engine oil frequently: usually after about every 25 hours of use. To piggyback on our last point, if you do notice that something appears to be off with your engine, don’t wait for it to break down. One out-of-sync piece can often create a domino effect and cause serious problems for the whole system. Fortunately, we provide everything you’ll need to check and maintain your engine: gasoline compression testers, top-of-the-line oil, and even full carburetor rebuild kits. Look forward to our upcoming blog on how and why to perform regular compression tests, where we’ll provide you with the finer details of running these checks! Don’t go crazy with this one; obviously there are plenty of things you could make yourself that are much easier (and smarter) to buy. However, it can be fun to challenge yourself. So the next time you’re in need of a new planter, bookshelf, work bench, or bed frame, think about how you could make it on your own. Try doing this every one or two months and pick projects based on your skill level: there are some great ideas out there for woodworking projects for beginners, all the way up to beautifully-architected furniture or full home makeovers for the expert. If you’re constantly tinkering around outside or in the workshop, then let your construction time serve double-duty as bonding time with a friend, partner, or child. Collaborating on a creative endeavor can be one of the most fun and rewarding ways to spend time with someone. So next time, don’t go it alone! Invite your friend over for a beer and a work session, or teach your son or daughter about basic woodworking while instilling lifelong memories. Sure, you can make resolutions, but can you keep them? There’s only one way to find out. Design a system of accountability that works for you, whether it involves writing down your activities, having a motivation buddy, or setting up milestones and rewards along the way. With resolutions this fun and easy, you’re sure to achieve your goals. 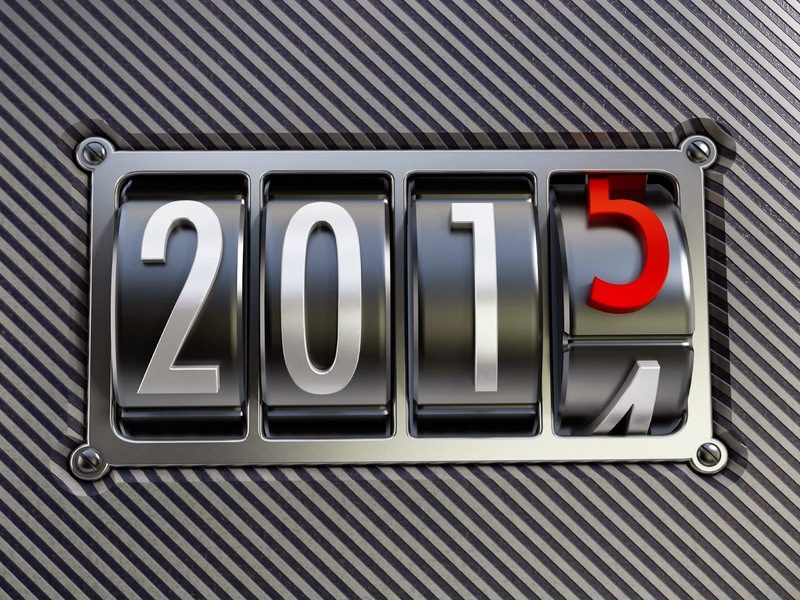 Wishing you a fabulous 2015 from HLSupply!